We visited three beautiful cities in Belgium, the first of them being Antwerp. (The other two were Ghent and Bruges.) These photographs were taken on the run, almost, as our guide took us through a quick walking tour of the central city. Antwerp is Belgium's second largest city, and one of the busiest ports in Europe. It is also a center of cutting-edge fashion design. One of its most famous sons was the artist Pieter Paul Rubens. It is a bustling and energetic city that still seems to retain much of its historic and artistic heritage. This is Het Steen, literally "the stone," but meaning "stone castle". 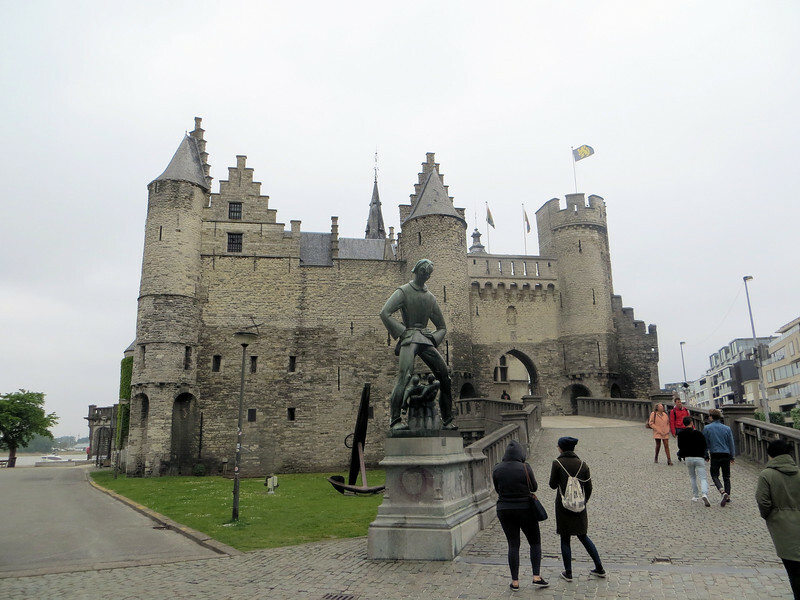 It's the oldest building in Antwerp, a medieval fortress built to control the river Scheldt. I am not sure what's inside it now.